Rabindra University, the first university named after Rabindranath Tagore is set to launch its academic activities today, eight years after Bangladesh decided to establish it as it was celebrating the poet's 150th birthday. "The start of classes in the three departments set up so far is to mark the launching of our academic activities in the university today," Vice Chancellor of the university Bishwajit Ghosh told media, reports BSS. Prime Minister Sheikh Hasina announced to set up Rabindra University at the Osmani Memorial Auditorium in Dhaka city on the occasion of birth anniversary of Bishakabi Rabindranath Tagore. Following the declaration, the Premier laid the foundation stone of Rabindra University on 25 Baishakh, the month of Bangla calendar, in 1422. "We have completed all procedures for recruiting manpower including teachers and employees. 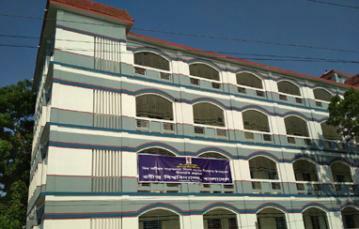 At the initial stage, the authorities enrolled students at the three departments," the VC said. More departments will be opened at the university in phases, he added. An act titled 'Rabindra University Bangladesh' was enacted at the Jatiya Sangsad on July 26, 2016. After passing the law, the process of setting up of the university got a faster pace. On June 11, 2017, Bishwajit Ghosh, a teacher of Arts faculty of Dhaka University, was appointed as Vice Chancellor of Rabindra University. The university authorities have recruited necessary manpower including teachers and employees to run academic and administrative activities. Academic activities including classes will be held at Shahjadpur Women Degree College, Bangabandhu Women Degree College and Maulana saifuddin Ahiya Degree College as Rabindra University do not have its own infrastructure. With efforts of local lawmaker Hasibur Rahman Swapan, the university authorities signed three agreements with three colleges to continue academic and administrative activities until its own infrastructures are built. Written tests for enrolment of 115 students at three departments -- Rabindra Studies, Cultural Heritage and Bangladesh Studies and Economics were held on February 15 this year. After the written tests, the authorities held viva voce on March 24 and 25 and 97 students were enrolled on April 5 this year. Shahjadpur upazila nirbahi officer Sheheli Laila said 300 acres of land were allocated for the university. Prime Minister Sheikh Hasina announced to set up Rabindra University at the Osmani Memorial Auditorium in Dhaka city on the occasion of birth anniversary of Bishakabi Rabindranath Tagore. Following the declaration, the Premier laid the foundation stone of Rabindra University on 25 Baishakh, the month of Bangla calendar, in 1422.